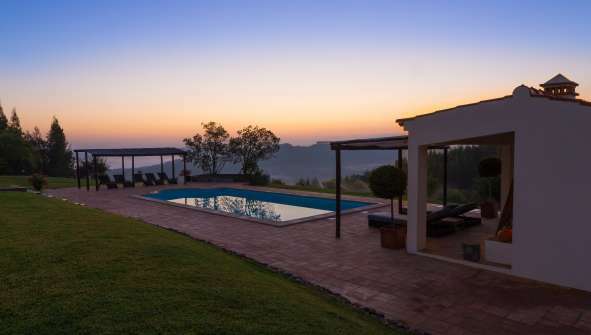 Hotels in Alentejo, Portugal! Are you looking for Hotels in Alentejo, Portugal? Rusticae selected the best Hotels in this area at the best prices. Visit Hotels in, rural country houses or apartments. Enjoy our exclusive offers of Rusticae Hotels and discover this wonderful region. Being eclipsed by the area of ​​the Algarve, Alentejo is only known to a few who have decided to discover and enjoy this idyllic enclave of southern Portugal. This region consists of several cities that stand out independently for their historical buildings, their captivating towns, their desireable beaches and their scenic mountains. With its beaches, mountains, and its picturesque regions, Alentejo won´t leave anyone indifferent. Literally, ´Alentejo´ means: beyond the Tajo(=Tagus River). Hence in Nisa, a town in the Alto Alentejo, we can see the border of Spain on the other side of the Tajo. Various small routes are lined out which reveal the scenic secrets of the Tajo basin and the San Miguel mountain range. For hiking love, we recommend to make a stop at the Naturtejo Geopark - Natural Park protected by UNESCO - which highlights the Roman gold mine of Conhal; and continue to the municipality of Belver, and be enchanted by nature and perhaps make a canoe ride. Alentejo is full of small towns and villages perfectly connected to each other, deprived of crowded areas and the pollution of the big city. In Alentjo, urban and rural meet, creating distinguished environments. So which locations stand out the most in the Alentejo? The most striking is Évora, in the center of the region. A walled town whose epicenter is the Plaza do Giraldo, where the commercial spirit of the region is found and the Moorish influence is perceived. But you also have to visit Alcáçovas, Sines, Beja, Comporta, Elvas or the medieval villages of Monsaraz and Marvão. To live the full experience, try the Alentejo cuisine and its traditional dish, consisting of pork with clams, cilantro, and a wine from the best wineries in the region. In addition, the "accorda" -typical Alentejo soup- is very popular, and especially the cod, a very typical Portuguese dish. Dream landscapes, charming villages, cultural heritage everywhere and a step away from Badajoz ... there are no excuses for not visiting Alentejo.